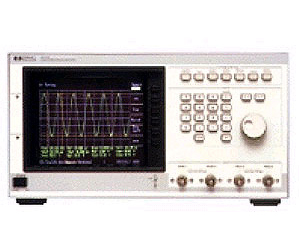 The 54111D Digitizing Oscilloscope is a 1 GS/s, color display, up to 4 channel digitizing oscilloscope with a memory depth of 8 k samples per channel. The 54111D has automatic measurements, auto-scaling, cursors, and a functional color display. The 54111D adds features necessary for controlling and managing the added memory depth, such as scroll, zoom, and memory bar. Other features include 500 MHz repetitive bandwidth (250 MHz single-shot), horizontal accuracy of 0.002%, 50 ps aperture jitter, and 10 ps resolution, up to 8-bits of vertical resolution, pre-trigger information, and complex triggering capabilities.